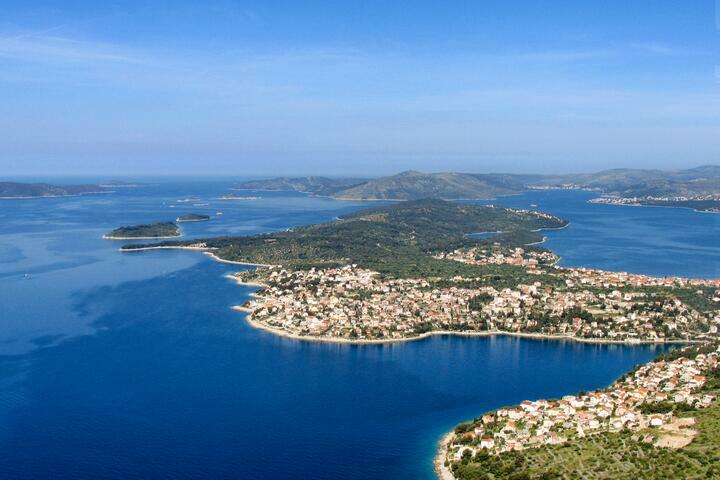 Čiovo Island is one of the most popular islands in Dalmatia, now more and more profiled as an island of tourism. A lot of investments happen in the tourism department which definitely makes the visitors' experience a lot better. The accommodation on Čiovo is versatile and comfortable. 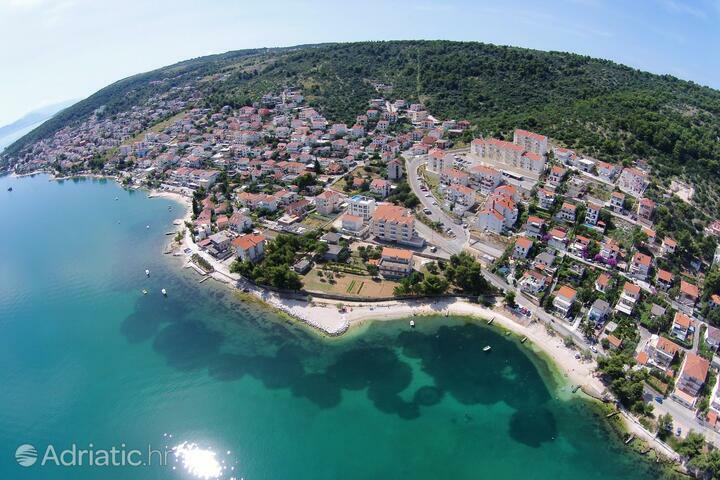 Apartments and houses close to the beach and with a sea view are the most common type of accommodation on Čiovo. 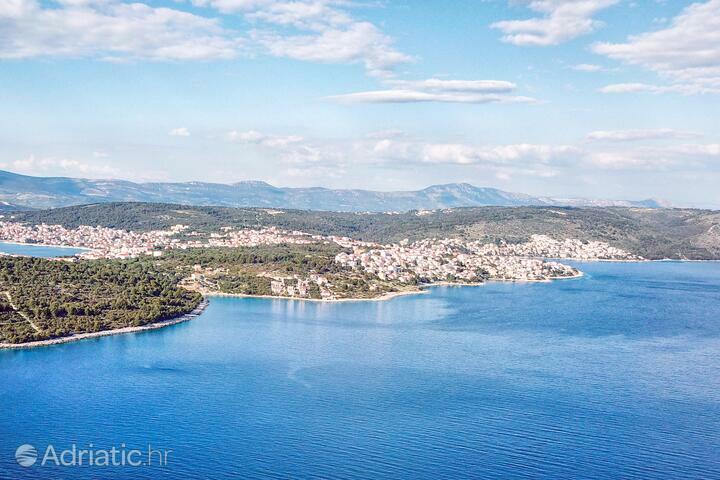 Vicinity to the town of Trogir is an additional bonus of your stay on Čiovo. For all those who want to spend a day at the beach and take a night walk around the city, instead of lying around in the apartment, Čiovo is the right choice. In our offer you can choose between more than 450 apartments and private rooms which are located very close to the beach. The geographical "center" of Dalmatia - Čiovo island - is located right next to the historical core of ancient Trogir, the UNESCO-protected town, anchored onto the mainland bt bridges. 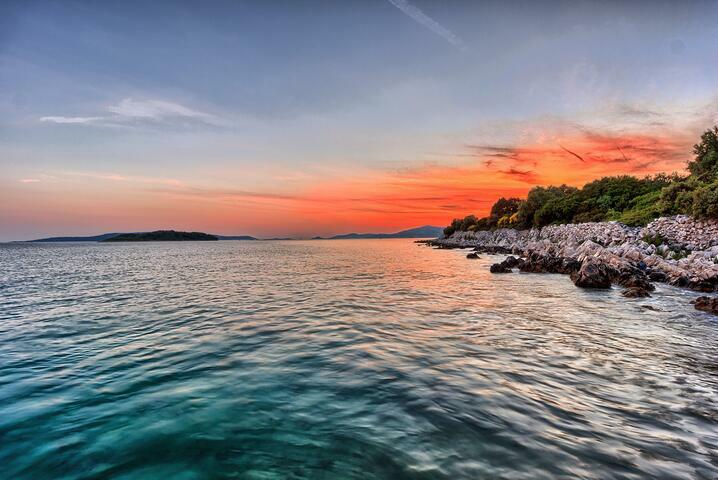 The woods of Čiovo hide numerous places of worship, and its waters hide a wealth of marine life. Swaying branches of pine beckon you to the restful coves that they watch over, while the developed hospitality industry presents numerous entertainment options in a more urban setting. Čiovo island has always stood in the path of conquerors. The many witnesses to this fact are today prime cultural attractions. A number of them date back to the middle ages, and of these perhaps the most valuable and famous is the monastery of the Holy Cross near Arbanija, highlighted by a gorgeous cloister and a valuable collection of medieval art. Čiovo was once an island oasis of spiritual peace, as attested by the many beautiful sacral buildings. Our Lady of Prizidnica is a well-known sanctuary where hermit-monks have been settled since the Middle Ages. Just over a mile away lies the town of Slatine, with its priceless Romanesque church of Saint Peter. Žedno village has a church of Saint Maurice from the fourth century, another refuge of hermit monks. 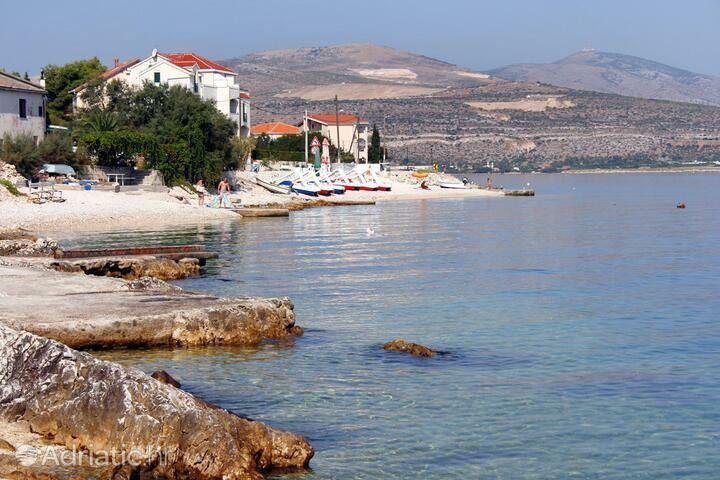 The island of Čiovo has a number of places where idyllic joy lies awaiting the visitors. Arbanija and Slatine are an excellent idea for a family holiday. 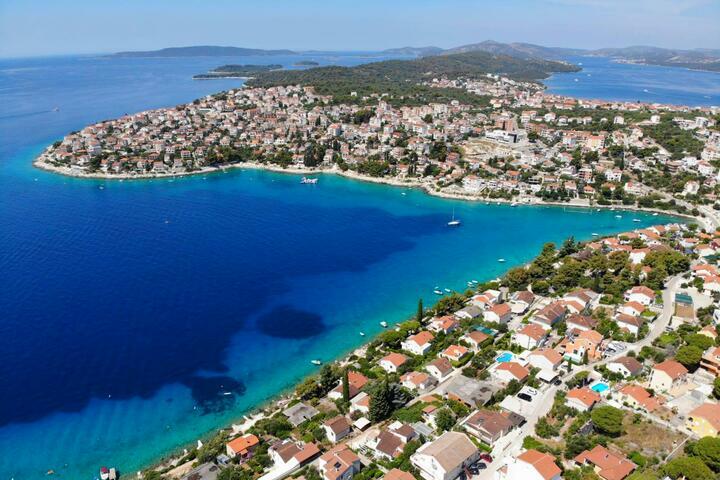 Bušinci and Mavarštica, with their numerous pebble beaches with crystal-clear waters offer incredible views of the Central Dalmatian archipelago: Brač, Šolta and Hvar. 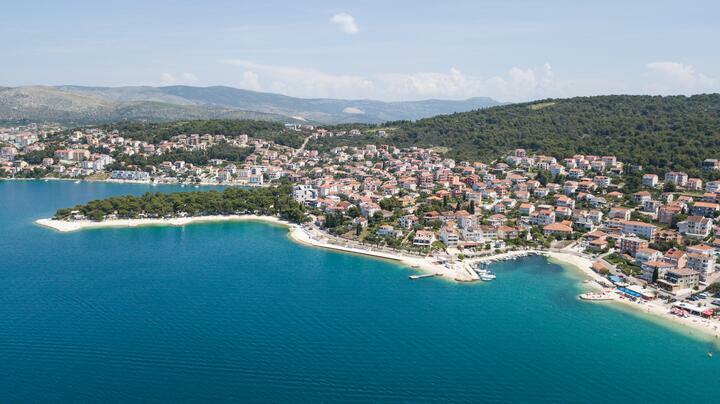 Okrug Gornji and Okrug Donji, being Čiovo's largest towns, are well-suited for a diverse spectrum of activities, both on their beaches as well as in man-made modern facilities. 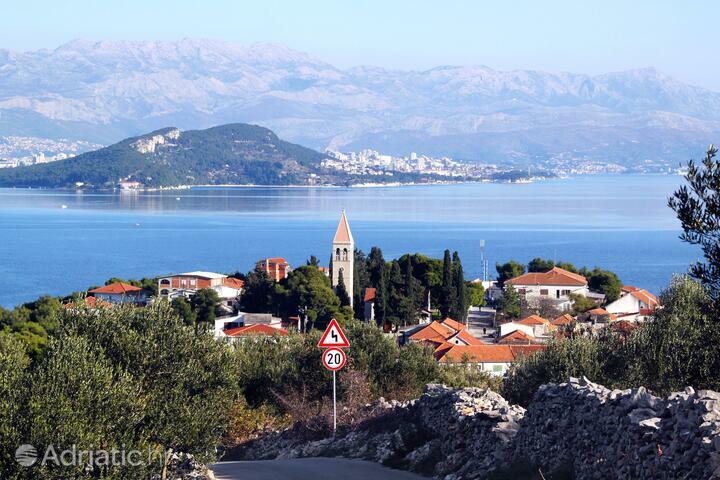 An excellent location makes Čiovo the ideal starting point for visiting the numerous landmark sites in the region. Within arm's reach are the UNESCO-protected towns of Trogir and Split, as well as the ruins of Salona, the largest Roman settlement on Croatian soil. Nature lovers should by no means miss a trip to the Krka national park. 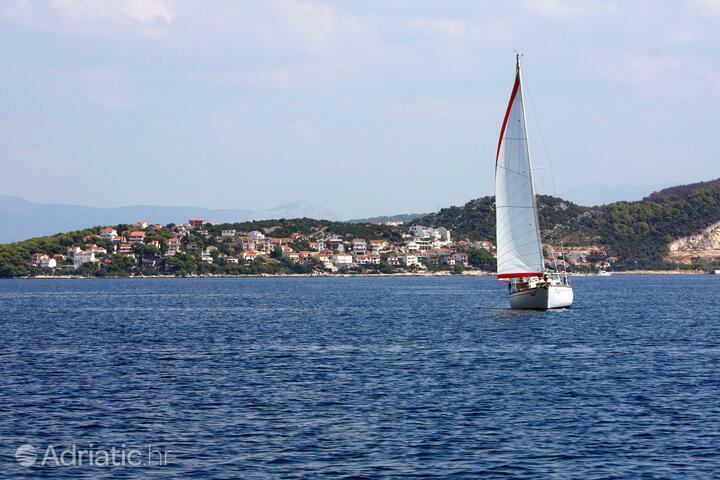 Čiovo is surrounded by several small islands, whose waters are ideally suited for diving and fishing. Especially notable are Kraljevac (King's place), once a refuge for Bela IV, the King of Hungary, on the run from the Mongols, and Sveta Fumija (Saint Euphemia), crowned by the remains of an early Romanesque church and its outhouses surrounded by typical Mediterranean brush. 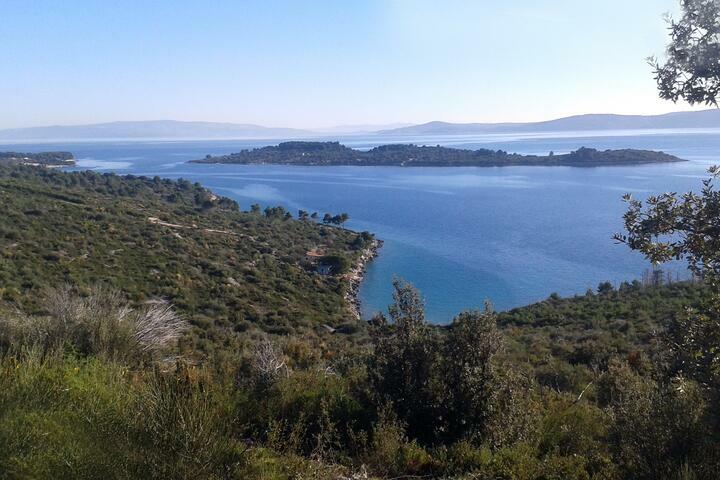 Island Čiovo - What to do, what to see?